I live in Donovan Smith Manufactured Home Park in Lewes, Delaware, I am the secretary for our home owner’s association. I do not support any repeal of the regulations on the construction or placement of manufactured homes. Manufacturing housing is affordable housing for a large population. I lived in a Philadelphia row home for 50 years. In 1999, I bought a 1967 AHMD 12X60 manufactured home that needed renovating. After striping the house down to the frame, I decided it was not safe enough to spend the money on renovation and took it completely down. I replaced it with a 1999 FTWD 16X70 and do not regret it. This house is more secure then the 1967 house. The lot rent at the time was affordable at $200 a month. I relocated to Delaware in February 2000 and worked at Beebe Medical Center as a register nurse. In 2006 I bought a stick-built house on my own ground. Life was good until after six years my kidneys failed and I became a dialysis patient. I worked my 12 hour nursing shifts and went to dialysis after work. This lasted about a year until I got so sick I had to go on disability. I was no long able to afford my home and bought my manufactured home back from my sister who wanted to return to Texas. July 2013, I moved back to my manufactured home in Donovan Smith Park where the lot rent had increased to $420.50 plus $1.50 Delaware Relocation Fee. 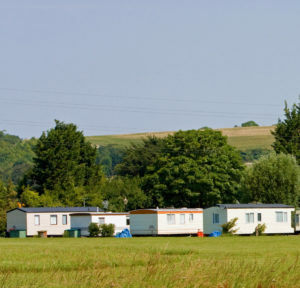 Instead of trying to repeal regulations it would be more profitable for HUD and for the citizens of the United States to focus on controlling the outrageous, unjustifiable, rent increases of lease land that these homes are on in manufactured home communities. KDM Corporation bought this land in 1997. As of today, there are 108 homes with 81 being occupied, and one house is used only by cats. Many of the unoccupied house are derelict and need to be removed as evident by wear, tear and aging of home. The KDM Corporation does not take proper care of Donovan Smith Park as evident by the condition of roads, accumulation of yard waste that has gathered for over 20 years, sewer issues, trees infested with termites that they refuse to treat, and unreasonably high lot rent increases. Last year lot rent was increased by $30/month and this year it increased by $60/month. This will cause some of our residents to face financial difficulties, and forces them to depend on government assistance. Some will even loose their home. In Delaware it takes several years to find public housing, causing many of our citizens to become homeless. If HUD would work on getting some of these manufactured home communities away from greedy corporations this could once again be an affordable way to own a home. I know that the Trump Administration can find away to make this work. If nothing is done now to protect manufactured homeowners the HUD budget for the homeless will have to increase.